​We love returning to our customers year after year to help maintain and service their equipment. We believe it helps reinforces a great relationship between supplier and consumer. Our latest lift service at Ariel Motors in Somerset demonstrates this concept in action! Ariel Motors, famously known for the modern classic Atom model, are a British car manufacturer that pride themselves on exceptional quality. Tucked away in Somerset, they have help prestige in British motoring by only allowing a single technician to work on a vehicle from start to finish, there by offering a personable service. In their own words it's "just good old fashioned, British skill and handbuilt craftsmanship". To follow up the Atom range of cars, Ariel started the production of their motorcycle range, the Ace. At the time of starting production they needed several lifts to cope with the demand for this new range. Hofmann Megaplan was a dream match and we were over the moon to work with such a British institution. Four years on, our engineers have completed the fourth annual lift service of 3 MCL750 Cascos motorcycle lifts. Having originally purchased these durable lifts to for production back in March of 2015, they continue to provide excellent efficiency without a hitch! At Hofmann Megaplan, we make sure our lift servicing and lift maintenance is just as good as the products we supply - if we didn't, our customers would not continue to use our excellent after sales service! Do you need to upgrade your vehicle lifting capabilities? Check out our range of wheel lifters online today or check out our Cascos range! Contact us now or call us today on 01480 8-9-10-11 to discuss how we can help! Not only are Hofmann Megaplan installing tyre changers and wheel balancers up and down the country, we also carry out numerous installs of high quality vehicle lifts every week. Ensuring new vehicle lifts are safe to use takes detailed preparation and analysis of your workshops footprint. Combine this with knowledge and technical know how, each install can be effortless. Our engineers also appreciate that no two installs are the same. They are always happy to help answer any questions you have whilst on site. Take a look at our latest car lift installs below, taken from locations all across the UK. No matter where you are or the challenges that are presented, we will provide premium quality vehicle lifts, excellent customer service and efficient engineers with knowledge to share, all for an incredible price. Cascos C455 5 tonne four post vehicle lift, perfect for alignment services in Bathwick site in Bristol. Installed at the same Bathwick site in Bristol, another Cascos C455 4 tonne four post lift for their alignment services with a commercial van loaded. Earlier this year we installed one of our ever popular full-height VSX3000 Scissor Lifts. This was a perfect fit in a location where space was a premium. Hummer 4 U Ltd took install of a Hofmann Megaplan megalift 4000-2, the latest version of our two post vehicle lift model. The Cascos C470 7 tonne four post lift looks right at home in Welbournes, Kings Lynn. After an unfortunate fire at their old premises in January, C.A.R Services in Redruth have had their previous megalift 4000-2 replaced by two new lifts offering maximum lifting space in their new workshop. A fun one to finish! This Cascos C430 four post lift has been installed for storage purposes. The vehicle lift allows space for an extra vehicle and is able to fit in the tightest of spaces. Do you need to upgrade your vehicle lift? Why not do so and receive excellent install and after sales service as standard? Contact us online now or call us today on 01480 8-9-10-11 to discuss how we can help! This install comes from the Northants and the fitters at SCS Tyres Co. Specialists in industrial, commercial and domestic tyres covering Northamptonshire, SCS Tyres is a family run business. Its three generations of owners have racked up over 60 years experience in the industry. As such these guys know their way around a tyre machine and settle for nothing but the best. It all started with a meeting at our showroom. The customer wanted to kit out their brand new workshop and getting hands-on with the equipment they'd be using going forward was a must. We expect this and it is one of the main reasons we keep a showroom which is fully stocked with all our garage equipment, ready to use! After going through all our equipment in detail and consulting with our garage specialist about their requirements they decided to go with the following. This is a first class machine line up that we think you'll agree the end result is a clean workshop with incredible equipment. The install was completed by Equipment Specialist Andy Currell. Full onsite training was also included to enable the team to make the most of their feature-rich new premium machines. 5 and a half hours later, SCS Tyres were ready to start fitting and Hofmann Megaplan left another very happy customer. WHEEL BALANCER AND NITRO INFLATION MACHINES WERE ALSO INCLUDED IN THIS PREMIUM GARAGE EQUIPMENT LINE UP. FULL GARAGE EQUIPMENT INSTALLATION INCLUDING TYRE CHANGERS AND WHEEL BALANCER WITH ONE WEIGHT BALANCE FROM HOFMANN MEGAPLAN. ​Although we haven't really had a severely cold winter this year, the weather is definitely becoming milder; which makes for happy riding if your one of the UK's 1.23 million registered motorbike owners (2017; Statista). This makes for big business. It may be time to ask what it will take for you to capitalise on fitting wheels for motorcycles. Motorbike Tyre Fitting: What do Hofmann Megaplan offer? ​As with all our product ranges, Hofmann Megaplan only supply high quality premium garage equipment teamed with our now renowned impeccable service - our Motorcycle Equipment range is no acception! Having been a leading supplier of garage equipment since 1931, our products and technology within them often sets the far future others to intimidate. It follows suit that we wouldn't offer a range of motorcycle tyre changing equipment and motorcycle lifting equipment with the famous 'H' logo on it, if we didn't feel it was up to scratch. While some class 4 tyre fitting machines will already be compatible with class 1 & 2 vehicles, we believe that there are many reasons investing in motorcycle specific equipment is the way to go in building the ultimate garage. Why invest in Motorcycle specific equipment? ​By purchasing specific garage equipment for your motorcycle tyre fitting services, you will be able to save time. This equipment is designed to do a specific job and while other changers will get the tyre on and off if you're looking to offer motorcycle fitting seamlessly this is a no brains investment. What's more, when it comes to changing each tyre your equipment is already set up. This saves time and hassle for fitting all wheels as each machine is correctly set up with the right adaptors and its own purpose. Of course, this can make your garage more profitable, your fitters lives easier and your business busy as you are able to fit in more jobs throughout the day. Your motorcycle tyre changing equipment can pay for itself quicker than you think and you seamlessly increase the number of specialised services you offer. Visit our Hofmann Megaplan Motorcycle Equipment range now for more information! Contact us online or call us today on 01480 891011 to discuss your garages requirements in more detail. Inset: megaspin 200-3S and megamount 503 Racing installed at Elite Tyre Direct in Rainham. As always our engineers have been busy up and down the country fitting a variety of garage equipment. Last week we completed an install for Elite Direct Tyres in Rainham. From their state of the art showroom and garage in the east of London they offer everything from tyre fitting and wheel alignment to car servicing and MOTs. The company boasts 67,000 square feet of warehousing space alongside its 20,000 square feet retail store, which they keep fully-stocked with the latest alloy wheels and tyres alongside many other ancillary products. They even have a cafe in their waiting area! Self confessed experts in all things automotive, they say on their website "we pride ourselves on our extensive knowledge of tyres, alloy wheels, brakes, suspension systems, exhausts – the list is endless." With sales complete onsite, over the phone and through their Point S powered website, this is a busy workshop with a requirement for the best equipment. Full range of Hofmann Megaplan Equipment install including two scissor lifts, a trye changer and wheel balancer. Enter Hofmann Megaplan. Two of our expert engineers spent a day onsite fitting a host of the best premium garage equipment money can buy. This included two brand new service lifts to expand the working area of the garage. Also installed was a megamount 503 Racing, one of our most popular tyre fitting machines, renowned for its incredible price/ performance ratio. Also added to this garages incredible equipment line up was a brand new 3D fully-automatic data input wheel balancer, the megaspin 200-3S. This was in addition to a megaspin 400 the company had also previously purchased from the same wheel balancing range. Hofmann Megaplan would like to thank Elite Direct Tyres for its custom and for choosing our machines to feature in their incredible garage set up! ​While Hofmann Megaplan's ATL & MoT equipment division continues to provide high quality equipment and service for a varying range of garage owners. However many are unaware of what equipment goes into an MOT, even though they know the profit it can bring them. What is our Most Popular MOT Bay Equipment? With technologically advanced components included as standard, UK MOT requirements are met with high quality performance products. Our emissions tester units also offer greater ease of use for your engineers and outstanding reliability, so you know that your equipment will not let you down! What are you waiting for? Visit Hofmann Megaplan ATL MOT now! Do you need more information or advice on what we can do to help your workshop? Contact us online now or call us today on 01480 891011 to book an appointment with our MoT Station specialists. Hofmann Megaplan was pleased to take part in the Point S members Conference & Trade Fair held on the 23rd February 2019. The event took place across the entire day with scheduled conference talks, followed by an open trade fair style floor for guests to explore. The trade show part of the event was a great opportunity for many exhibitors to talk to the end user of their products and services. Hofmann Megaplan were the only ones however to be demonstrating the revolutionary Handheld TreadReader device. This interactive demo was able to happen live at the show, giving customers a real feel for the benefit this device offers. This TreadReader is exclusive to Hofmann Megaplan in the UK and generated a lot of attention, including interest from multiple business owners looking to increase alignment and tyre service sales in their garages. Alongside this, the team were on hand to discuss items across the entire range of garage equipment. Some of the highlights included our ever popular scissor lifts, the high spec 813XL tyre changer and OWB (One Weight Balance). One of the most prestigious machine in our line up which also grabbed the attention of many was the Smart X. Considered by many to be The Ultimate in Tyre Fitting & Removal Technology, this BMW approved machine keeps safety at the heart of the operation by completely automating the process of removing and fitting a tyre. Human error is a thing of the past! Andy Ringrose, Sales Manager, attended the event with Hofmann Megaplan. He commented, "it's great what Point S is doing in bringing together all of their members at conferences like this, not only to learn but also to see what new technology is out there and available now on the market place. Thank you very much for inviting us along!" Hofmann Megapan would like to echo Andy's sentiments in thanking Point S for putting on a great event. To find out more about any of the technology discussed at the show including the Handheld TreadReader and One Weight Balancing you can call us now on 01480 8-9-10-11. You can join Point S online today by visiting their website. How do you make the Best Wheel Alignment Machine even better? How do you know which wheel alignment machine is the best? Is it the technology? The durability of the machine? Or maybe it is a combination of everything? Not only do we have the answer but we worked out how to make the best better! The megaline Ssence ULTRA combines a 3D/HD alignment system with integrated handheld tread depth scanner. By marrying these two devices we are able to provide the ultimate in wheel alignment services. Continuously providing high quality garage equipment is standard for Hofmann Megaplan. It is shown brilliantly in the robust and ergonomically designed unit which enhances productivity and your ability to deliver alignment and tyre services. 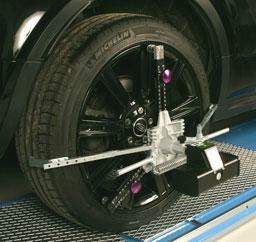 The ULTRA sets a totally new standard in wheel alignment, by introducing the revolutionary new TreadReader technology! This device is taking the tyre and alignment industry by storm with its ability to inform customers in a clear and concise manner. It only requires a few seconds per tyre to run over and provides an instant 3D rendering of the tyre on the megaTab handheld display. Because it is instantly uploaded to a smartphone or tablet via the TreadReader App, customers are able to see instantly any dangers there tyres are posing from misalign issues to increase stopping distance. The added bonus? A boost in business for garages that might otherwise have been missed out on. Where to see the TreadReader in 2019..
Option 1 and the easiest is to get one on one with the TreadReader. You can Contact us online or call us today on 01480 891011 to book an appointment, visit our showroom and see the megaline Ssence ULTRA in action! We'll also be at several show across the UK in 2019 including the Point S members trade show, the CV Show and Automechanika Birmingham 2019 in the brand new Big UK Garage Event. We'll have TreadReader units at each ready to show you. A quick one this month on the havoc cold weather can wreak when it comes to your wheel alignment system! The severity of weather makes a massive difference of course but cold weather normally means more ice on the road. As such we see more salt, dirt and sometimes even sludge on the roads. All of this will collect within the wheel arches of vehicles and it can easily fall onto your turn plates. This will result in corrosion of the turn plates and their useful lifespan being decreased. Did you know a very fine spray of lubricant daily can save your turn plates from corroding? A small cost to make a big saving long term. Caster Swings + the cold = A MUST! ​Don't forget your caster swings, especially in the cold! Most machines are able to bypass doing a caster swing and so this may not be a check you think to regularly complete. However, this could mean you are missing out on service up sales from damage more commonly caused during the winter months. Hitting the kerb at any speed can have a noticeable effect on alignment but many don't realise the unseen damage that happens. We commonly see bent wishbones in the winter months from cases where a customer has skidded on ice and had an impact with the kerb. Not doing your caster swing check could mean you are missing out on replacing bent wishbones. Your customers will thank you as they drive away safer! Most modern computer wheel alignment machines use infrared technology. That includes 3D and CCD alignment machines. We always receive, without fail, several callouts over the winter periods where erratic readings or blocked beams have been reported on these systems. The issue is often quite an obscure one. We've found that many garages are now starting to use infrared heaters to keep their workshops warm in the winter. The issue? Unfortunately, these heaters are polluting the space with infrared rays. It is an easy problem to overcome though. The solution is to simply not to shine the heaters near the wheel aligners whilst in use. Keep warm and keep aligning with the accuracy these machines are built to offer! ​Have you got any other winter alignment woes or tips to overcoming issues thrown up by the cold weather? Let us know now. Our engineers are always on hand to help. Call 01480 8-9-10-11 today and arrange to speak to a member of the alignment team. 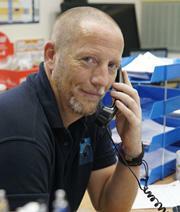 My name is Warren Carr and I'm from the team of alignment engineers at Hofmann Megaplan. I will be using this blog to regularly highlight some practical hints and tips which will help you, our garage professionals, achieve great results with your equipment, no matter the make of alignment machine. Hofmann Megaplan is one of the UK's leading suppliers of garage equipment and we currently have two new opportunites to join our teams in the Cambridgeshire area. Full details are provided below. We are looking to fill this role following an internal promotion. To be successful in this role you will require enthusiasm, common sense and a polite phone manner. A determination to learn and understand the equipment the company provides is a must. Full training will be provided so no previous experience is necessary. This is a role that offers a great opportunity for career progression, both on the service management and engineering sides of the business. Again this role requires a great deal of enthusiasm, common sense, and the ability to work well as part of a team. There are also overtime opportunities regularly available. Some knowledge of either the machine building environment or garage equipment will be greatly beneficial. You will be working in a hands on the environment using power tools and other heavy machinery. This is a physical role with a great team of people in a rapidly growing part of the business. Alternatively, you can apply online through our external ISN recruitment portal at https://www.isn-europe.co.uk/recruitment-application/. Are you visiting our Showroom in 2019? We appreciate the importance of trying before you buy. Especially when it comes to investing in tyre fitting equipment your business will use day in, day out. It could be how it works, the appearance or performance you want to understand. Having the knowledge that the product can perform as expected with the ability to improve your current process is a must! That's why we have always kept a fully stocked and demonstration ready showroom open for all to visit. Our products ranges are constantly expanding and equipment being updated to meet the newest industry-leading standards, and there is no better place to see this than our statement showroom based in Huntingdon, Cambridgeshire, easily accessible from the A1 and A14. One of our Equipment Specialists is always on hand to take you through our equipment range, providing quick demonstrations of our efficient and easy to use products. Want to take a look at our garage equipment in action? Contact us online now or call us today on 01480 891011 to speak to one of our dedicated team, to book an appointment to visit our showroom. You can also see all the latest equipment in our garage equipment video library. Hofmann Megaplan will often reference our above and beyond levels customer service. When we say you can be sure we are able to install our equipment on time in whatever weather or location we mean it and today was no exception! Pro Tyre Bell Silencers in Swindon may have woke up this morning to snow, unsure as to whether their new aligner would be delivered or not. Not ones to disappointed, our engineers were on site first thing to replace an old Hunter aligner with our 3D megaline Ssence. Despite the downpour of snow, the aligner was successfully installed without any compromise on the usual high standard. ​A quick one this week. A recent install of a Cascos C445 Wheel Alignment Lift in Bathwick, Dorchester. The C445 is one of the most popular lifts we install from the Cascos lifting equipment machinery range. With a 4000kg Capacity & 4.8m Platform Length, it is also worth noting that Cascos specifically design these lifts for alignment. Who better to install this purpose built lift then the same company who will be providing the brand new aligner to the site as well? Not only have Cascos designed this range with alignment specifically in mind but they have also included industry-leading safety and build features, such as the Superior-strength platforms and a double mechanical peace of mind safety system. Find out more about the full Cascos range of lifting equipment by visiting the UK site. Pictured above from left Kevin Reynolds, Neal Stote, Luke John, Jon Horsley and Luke Rivett, Hofmann Megaplan Engineers currently on site at Cascos' manufacturing plant in Vitoria, Northern Spain. Hofmann Megaplan is consistently working hard to ensure the customer service we offer exceeds the expectations of those purchasing our machines. A big part of this is training, and who better to train our team than the individuals manufacturing the product? To that end, 5 of our engineers are currently over in Vitoria, Northern Spain, where lifting professionals Cascos Maquinaria (Machinery) are based. Still operated by the Cascos family, the same passion and pride goes into every lift they manufacture, from scissor lifts to 4 post ATL/MOT Servicing lifts. It is the way that the company has operated since it was established in 1965. As chosen UK distributors of Cascos Lifts, Hofmann Megaplan takes its responsibility very seriously in ensuring this incredible product is handled correctly after making its journey to the UK. This is the very reason our team receive their installation and maintenance training onsite, in Spain, where the lifting equipment is manufactured. We believe this is the best way to ensure our engineers know the products inside out. It also gives them a deeper understanding of the aforementioned passion and pride that the business was established upon and that goes into every lift. To find out more about the Cascos range including its incredible history and the tradition behind todays manufacturing process, visit Cascos Lifts now. ​There are a number of different pieces of equipment that make up an MOT Bay and understanding what is needed for classification can be a bit of a head spinner! Here at Hofmann Megaplan, we pride ourselves on our MoT Bay knowledge and experience, having been a leading supplier of garage and MOT equipment since 1931. Our specialist division for handling automotive testing equipment within the workshop, works to ensure you have the right equipment in your garage and to make sure your ATL MOT workshop operations run efficiently with little interruptions. They have put together the below quick beginners guide to understanding the different Class bay's when it comes to ATL/MOT. Read more on our service lead MOT Bay installations here! More often than not getting a Class 1 & 2 bay is a no brainer. By contacting our knowledgeable team we can provide specialist insight into achieving this. ​As your standard passenger car is the most popular form of transportation, it is of no surprise that Class 4 ATL MOT Bays are the go to when investing in MOT testing equipment. Due to the workload these bays see there is a need for them to be more robust and durable than ever. Equipping your garage with the right Class 4 MOT bay can be a struggle though, as they can come in all shapes and sizes. By delivering our comprehensive analysis and design bespoke to your workshop, we can offer and advise on the best solution for your space and services. This peace of mind approach is imperative and ensures your bay is right and ready to start making you money ASAP! ​With heavy duty vehicles comes larger MOT testing equipment! Where the opportunity to get business from light commercial and heavy commercial machinery testing presents itself, you are going to need specialised Class 7 ATL MOT Bays and equipment to deal with the enormity of each task. For dealing with the sheer weight and size of the vehicles, you will need a lot of space and very robust equipment. The need to plan well and get thing right first time is key, else a simple project could end up costing you more than needed. ​If you need to draw on ​our expertise and advice for your MOT equipment, contact us online now or call us today on 01480 8-9-10-11 to speak with one of our MOT Station specialists. Hofmann Megaplan are proud to supply wheel alignment equipment not just in the UK but also across Europe! The above image shows one of our most recent installs of an Ecoline 88. This machine was installed in an accident repair centre Paris, France. The Ecoline 88 is one of the most popular wheel aligner models ever sold by Hofmann Megaplan, not least because it includes some luxury additional features whilst keeping its overall cost down compared to similar machines. Owners of this machine will enjoy the ease of use when attaching the 3-point 'GrabClamps', the heavy-duty mechanical turnplates and the advanced measuring heads that come as standard, making full 4 wheel alignment a walk in the park. The 'GrabClamps' alone makes this aligner worth the investment. The measuring head is mounted to the wheel using sprung-loaded 'arms' that grab the tyre, and 3 nylon locators on the rim. This ensures there is no metal to metal contact and thus no damaged rims. Whichever geographical market you are looking to purchase your new garage equipment for, you can contact our team today online and a member of the appropriate department will be in contact to help with your new purchase. ​New for 2019, Cascos have introduced a stunning new colour scheme in their ever popular range of vehicle lifts! Here at Hofmann Megaplan we partner with Cascos Lifts to provide the ultimate ATL MOT range, and are proud to present the launch of the new graphite colour scheme for the 'Elite' brand line. As always, Cascos continue to supply in the Platinum colour scheme or indeed any other corporate colour schemes upon request. ​Cascos have recently carried out an audit of all their materials and component suppliers in order to ensure full traceability of their origin and quality. As a result, the company can have absolute faith in the product they supply and this has resulted in the ability to support a class-leading 5 year warranty. ​"It's a well recognised fact that, although you may pay more for the Cascos brand vs. a cheap vehicle lift from the Far East, the Cascos will be by far the cheaper buy in the long term, simply because of the length of life and cost of ownership along the way." "We still get calls to service Cascos lifts that are 30 years old, which is testament to the build quality and justifies completely the initial outlay." As the Chinese garage equipment market grows increasingly stronger and popular, Cascos continue to develop high quality and durable products that are able to withstand the test of time. The focus is on customers who place quality and longevity as the most important assets, leading to long term cost savings and efficiencies. Interested in our Cascos range? ​Learn more about our Cascos ATL Lifts on our website today. 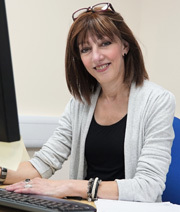 Contact us online now or call us today on 01480 891011 to speak to one of our dedicated team for more information.